Diagnostic test for Caprine Arthritis-encephalitis Virus, Maedi Visna Virus, Corynebacterium pseudotuberculosis, & Mycobacterium paratuberculosis. 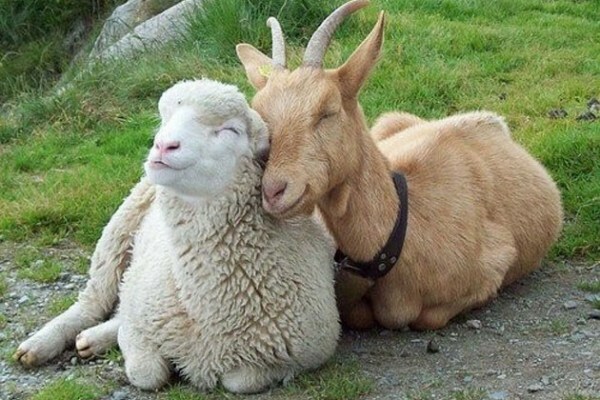 The Goat/Sheep Multiplex kit is designed as a flock health check and can be used with milk and serum samples. 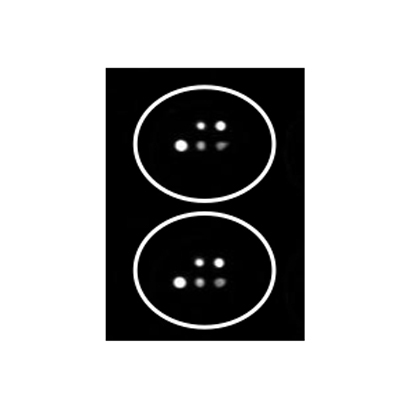 The multiplex plate is printed with 5 antigens, with a specific antigen for each of the diseases. The assay is run in a standard 96 well microtiter plate which has the individual antigens accurately printed at specific locations in the wells. A highly sensitive enhanced chemiluminescent substrate is used to generate a signal and this signal is captured with a high res camera. Caprine Arthritis Encephalitis Virus/Maedi Visna Virus are lentiviruses which infect macrophages of goats and sheep respectively and causes disease of the mammary gland, lungs, central nervous system and joints. The onset of disease is insidious and very variable. It may take several years to develop fully, conversely many animals remain asymptomatic during their life time. In herds with a high prevalence of infection economic losses can be significant due to disease and early culling. In Norway they have found that eradication of this pathogen from dairy goat herds can increase milk production by up to 40%. Caseous Lymphadenitis in a bacterial disease, caused by Corynebacterium pseudotuberculosis, in which abscesses form in the lymph nodes. Usually this is in the head and neck area leading to swelling and unsightly lesions which exude pus. Sometimes abscesses may be in the lungs and central tissues leading to more severe disease which may lead to marked loss of condition and death. The organism is spread from the pus which exudes from abscesses, especially by actions which damage the skin, e.g. shearing, and allow the organism to gain access to the lymphatic system. Johne’s disease is caused by Mycobacterium paratuberculosis (MAP) in cattle, goats and other ruminants. Clinical signs affect older animals and are intermittent to persistent diarrhoea, loss of weight and other signs associated with protein loss via the damaged intestine e.g. subcutaneous oedema. MAP is a slow growing organism and is difficult to culture. Infection is widespread in some countries, e.g. UK, USA, and very low prevalence or absent from other countries e.g. Norway. Recent studies have shown that MAP present in milk can survive pasteurisation. This has raised some human health concerns due to the widespread nature of MAP in modern dairy herds and the fact that it has been suspected (but not proven) as a possible cause of Crohn’s disease in Man. This multiplex diagnostic is being marketed to veterinary diagnostic laboratories by MV Diagnostics Ltd. The product is manufactured by Enfer Scientific. Enfer Scientific working closely with Scientists at the Moredun Research Institute have successfully developed a new diagnostic test for Chlamydia abortus the causative agent of Ovine Enzootic Abortion (OEA). OEA, also known as Enzootic Abortion of Ewes (EAE) or ovine chlamydiosis, is a major cause of lamb mortality across the world and accounts for 44% of diagnosed infectious abortions in UK sheep. C. abortus invades the placenta during pregnancy which can lead to abortion or the birth of weak lambs. The new test will allow for more accurate diagnosis of the disease by offering higher specificity and sensitivity of detection in comparison to other serological tests. It works by detecting the presence of antibodies to C. abortus in blood samples from infected sheep using an indirect ELISA technique. 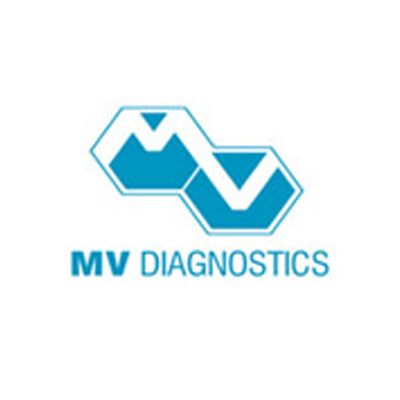 This new diagnostic is being marketed to veterinary diagnostic laboratories by MV Diagnostics Ltd. The product is manufactured by Enfer Scientific.